This element is added to the Universal Form. It is added on the Universal Form element together with the formula fields. When you click it, it performs calculations. Once you add it, you will see the list of available formulas. 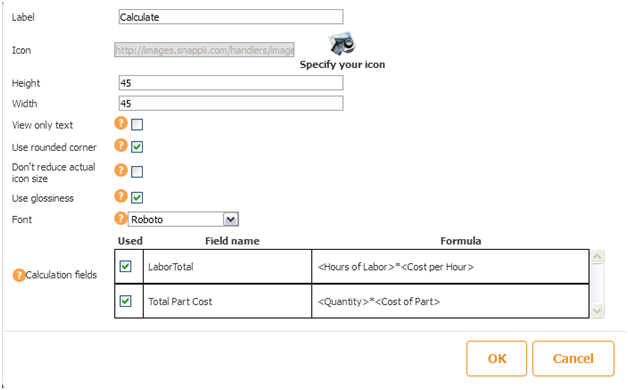 You can specify which one you want to be calculated automatically and which only after Calculate button is pressed.